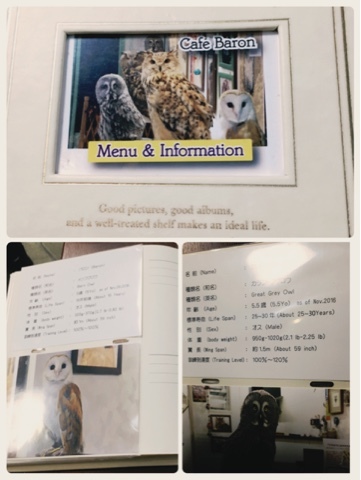 Have you heard about the フクロウ カフェ-fukurou cafe (owl cafes )!? In Tokyo there are several cafes. 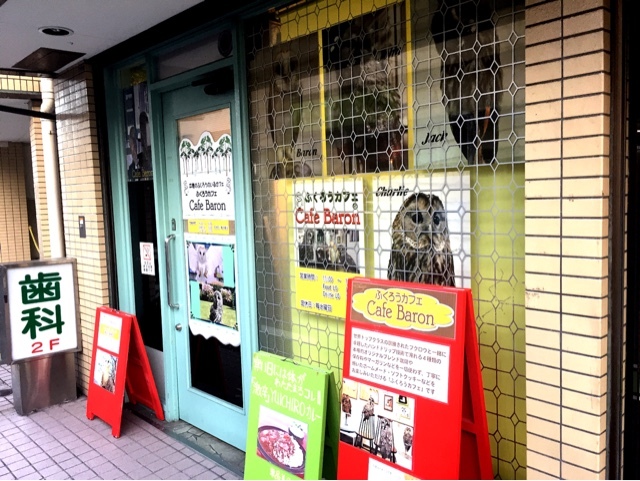 This time I went to Cafe Baron: Tokyo-Koenji. 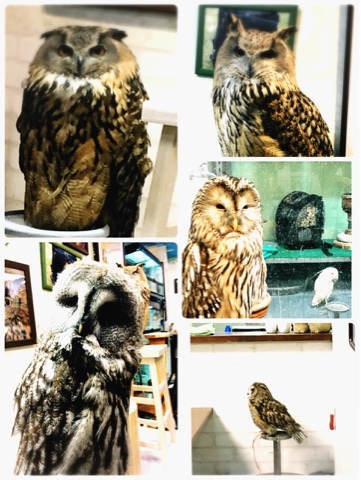 On the entering of the cafe you are greeted by a big owl that you do not expect to be so close to you. It was impressive, that I stepped back. 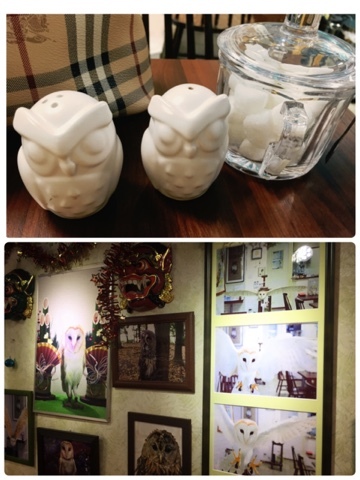 Inside there are 5 tables and everything from the sugar holders and coffee mugs to decore are all owl related. The food was very good and not expensive. drinks from ¥500, food from ¥800. I ordered lemon tea and bowl of curry, in total I spent about ¥1500. 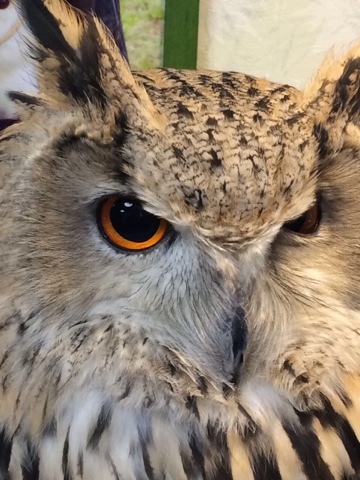 You can’t freely touch the owls but you can get up close. There is no cover charge or time limits. A small library of owl books is also available for perusal. This cafe is not so touristy that I loved it since you can feel a magical mysterious atmosphere. Open: 11am-6pm (last orders at 5:30pm) / closed: Wednesday.